Thus read the last diary entry, found in the pocket of a dead Union soldier. He had made the entry himself, while all around him, other soldiers were writing names and home addresses on slips of paper and pinning them to the back of their coats. These veteran soldiers knew what was coming, although it seems their commanders did not. 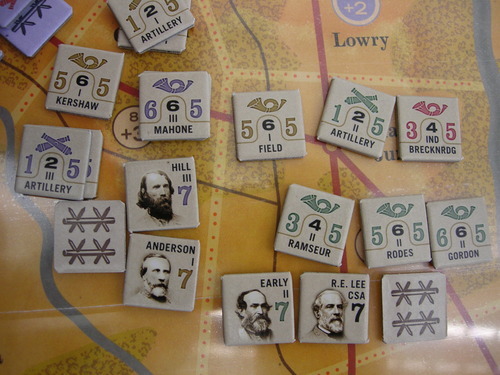 Three full corps launched a disjointed attack against well-entrenched Confederates. In just eight minutes, the attack had petered out. Over 7000 Federals covered the Virginia soil. A few minutes later, the orders came down to renew the attacks, but at each level, from corps commander to captain, the orders were "followed" only by increased firing -- most of it blindly -- while remaining in position. Grant said, "I regret this assault more than any one I ever ordered." Today it sounds more like WWI madness than part of Grant's successful campaign to end the Civil War. But it was not so easy on the other side. While one CSA staffer called it "perhaps the easiest victory ever granted to Confederate arms by the folly of Federal commanders," from Lee's point of view, anything could happen. 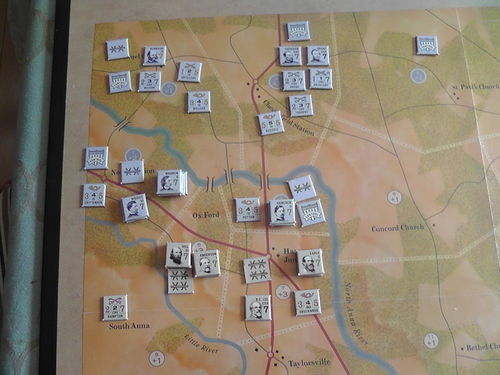 His army had "not a regiment" in reserve, and the volume of sound -- "It seemed more like a volcanic blast than a battle," -- rattled windows all the way back in Richmond. Not War But Murder covers the week-long operation which marked the end of Grant's 30 day, "smash 'em up" campaign begun at Wilderness. Like a bloody chess match, Grant and Lee made move and counter move to get to this point, with Lee well aware that a false move could end the war quickly. Not War But Murder, by designer Michael Rinella, is his newest area-map game, and his first take on an American Civil War battle. 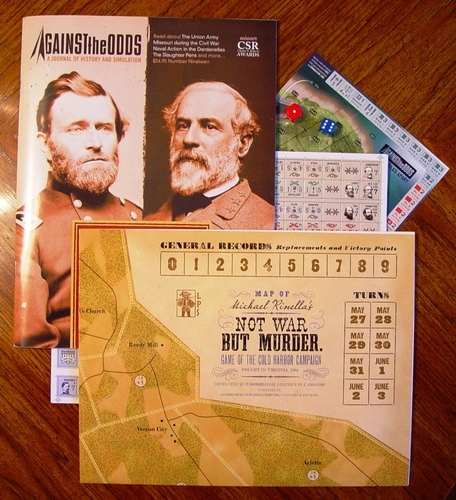 This game includes one 22" by 34" inch area map, 170 5/8" counters, and 12 pages of rules that include designer notes, and optional rules. It also marks the debut of what Rinella calls the "diceless advantage". 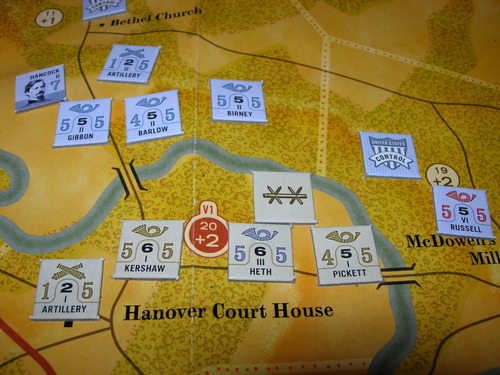 In previous area-impulse games, from Monty's Gamble all the way to the Avalon Hill games of the early 1990s, an "advantage chit" allowed the person holding it to re-roll an single die roll (or rolls if it was a combat). In NWBM this changes. 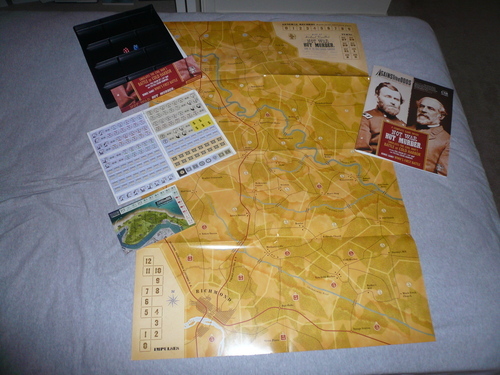 The player may spend the advantage to gain specific game benefits, automatically. Thus, rather than being hoarded, this "twist of fate" is likely to hop back and forth, as each player strives to save a desperate situation. 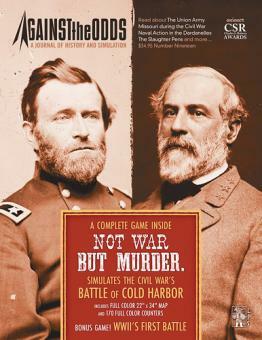 What is most amazing about NWBM is how much of a "game" it actually is, offering both players challenges and fateful decisions to make, in this classic face-off of well-known leadership. What will you do?